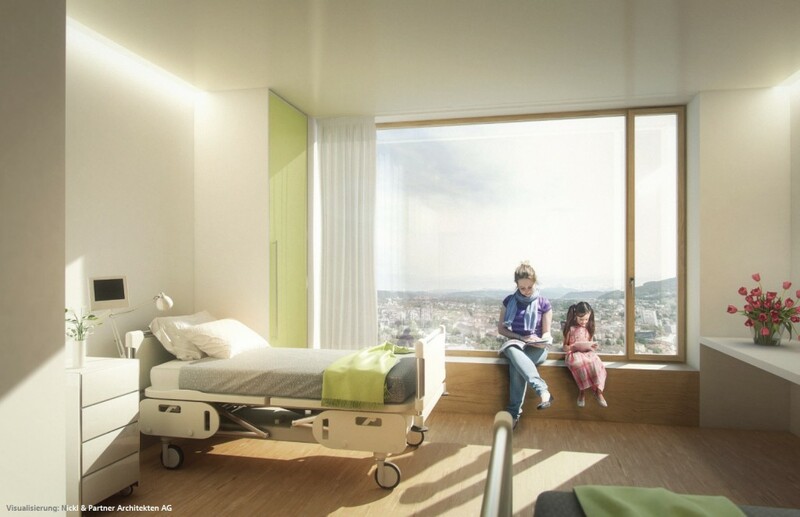 The competition specified a building that would provide space for the diagnosis and treatment, nursing care, management and administration, social services, supply and disposal departments, the Swiss Cardiovascular Centre (SHGZ), and additional uses. The design by our office provides a building volume that consists of a plinth building with a superstructure rising from it. These elements are visually separated by an almost transparent level that functions as a joint, making the different internal uses readable. At the same time, a central theme of the design is reinforcement of the existing urban fabric by creation of a new, second city layer and prevention of fragmentation of the historical city. 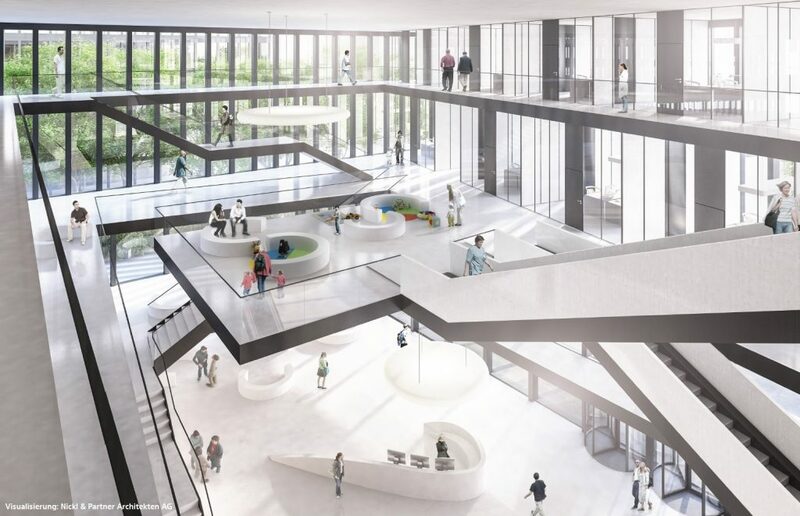 While the historical city and its infrastructure are preserved below, a new campus level – a modern city – is overlaid on the actual city. 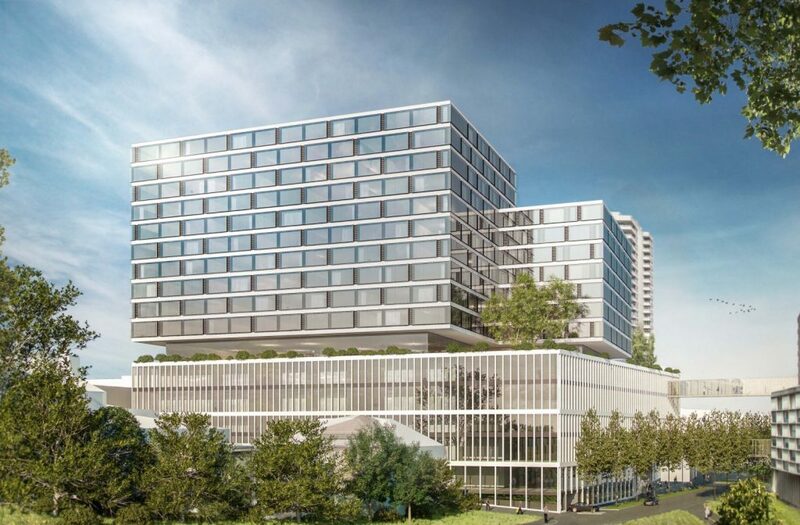 Nickl & Partner have won first prize in the competition for the new building on the site of the Inselspital in Bern, Switzerland.